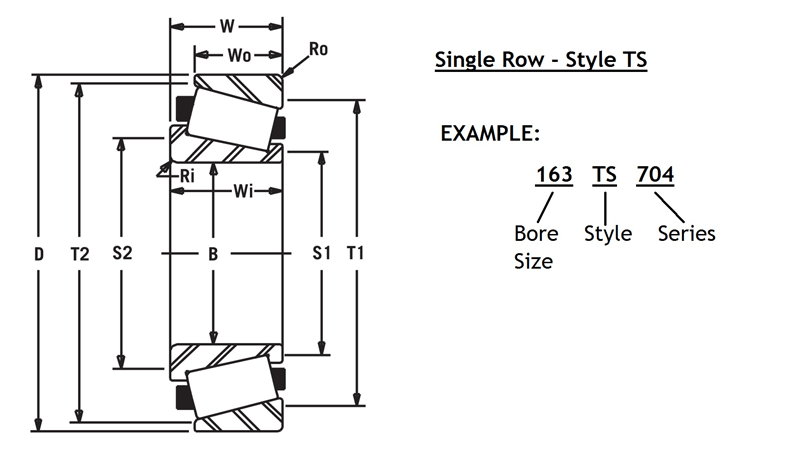 This is a single row (TS) tapered roller bearing with a bore size of 16.3750”. By finding it by bore size in our tables, you will see that it has a 23.2500” O.D. and is 4.500” wide.